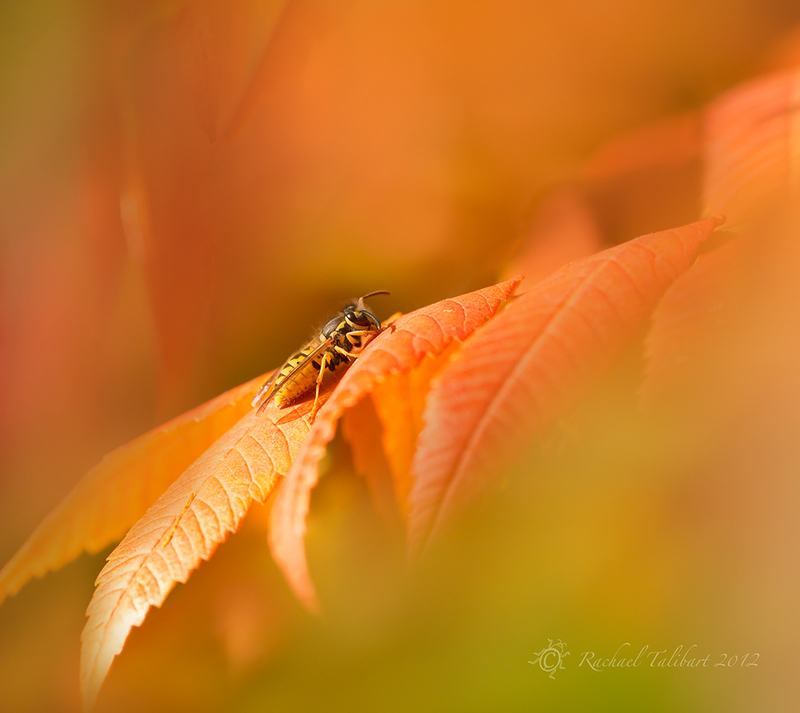 This entry was posted in garden, nature, photography and tagged Autumn, foliage, macro, macro photography, orange, photograph, photography, sumach, vespula vulgaris, wasp by Rachael. Bookmark the permalink. Yikes! That is just insanely good. Thought at first it was a maple. Not much orange-ification going on here just yet, but I’m going north next weekend for a few days’ of fun, and it might be a different story up there. These colour tones are amazing! The focus and depth of field adds a little bit of magic. Lovely!